The first dogwood trees planted in Greenfield Hill were dug up and brought from neighboring woods by Dr. Isaac Bronson. History records he planted these trees on his property along the edge of what is now Bronson Road. 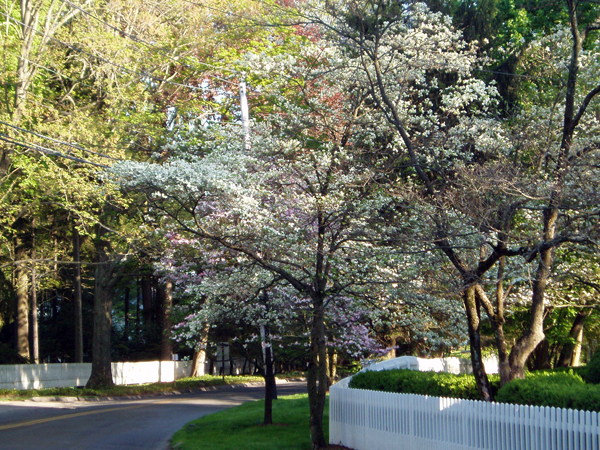 Greenfield Hill Village Improvement Society has a long record of planting and caring for the dogwoods. Toward the end of the nineteenth century the Society imported hundreds of pink dogwoods from Japan and planted them along Bronson Road and on the Greenfield Hill Green. 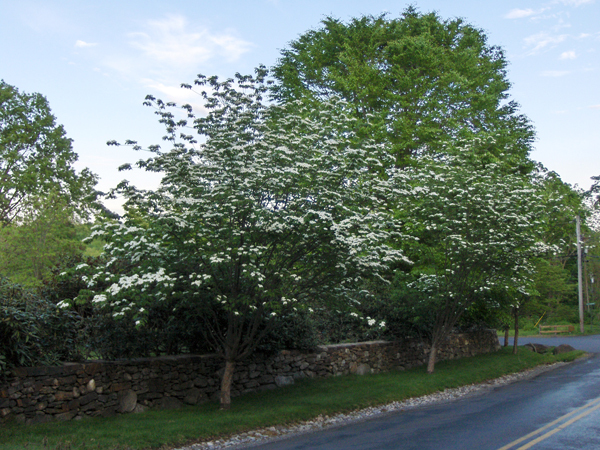 The trees have received national acclaim over the years through the annual Dogwood Festival. In 1938 Eleanor Roosevelt visited Fairfield specifically to view our dogwoods. In keeping with tradition, the Society just completed our latest Dogwood Tree Project, which evaluated existing trees and planted over 100 new ones around the Greenfield Hill area. These trees will eventually take the place of trees that have been lost due to disease, age and mistreatment.